Follow this link or click on the image to read a 12 September 2018 article version of a blog post I wrote on 12 August 2018. As Vietnam celebrates the liberation/fall of Saigon 39 years ago today, 30 April, which signaled the end of the American War in Vietnam and the death knell of the southern part of that divided country known as the Republic of Vietnam, I thought you might be interested in knowing which city was the capital of South Vietnam, according to the gospel of Google. Go to Google Search and enter the search terms “RVN”, or simply click on the above image. You’ll be surprised to learn that it was Ho Chi Minh City (HCMC). In fact, the city’s official name was changed to HCMC in honor of the late President Hồ Chí Minh, in 1976 when the country was unified and became known as the Socialist Republic of Vietnam. Of course, it is still called Saigon by most; HCMC and Saigon are often used interchangeably. Even the Tân Sơn Nhất International Airport code is SGN. Then there’s the Saigon Port. For foreign journalists and Wikipedia it’s Ho Chi Minh City – formerly Saigon. For official discourse it’s HCMC only. You get the picture. Calling Saigon HCMC in the context of the former Republic of Vietnam is fightin’ words for many Việt Kiều (VK), most of whom have some connection to the RVN and/or the (US) government that bankrolled that client state. It’s like pouring gasoline on smoldering embers. I’m waiting for the aggrieved to organize a mass protest at 1600 Amphitheatre Pkwy, Mountain View, CA 94043, i.e., Google headquarters, uniforms, medals, gold flag with three (3) red stripes, signs, outrage, bitterness and all. It’s only six (6) hours by car from Orange County (Quận Cam), home to the largest concentration of Vietnamese-Americans, and a mere 15 minutes away from San Jose, and which ranks 2nd in number of Vietnamese-American residents in the US. What are you waiting for? The time to right this wrong is NOW. 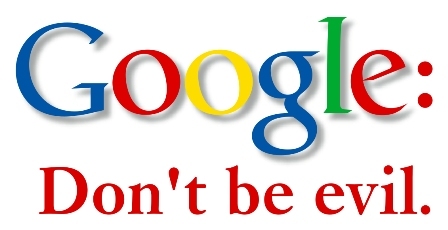 Suggested slogan: Don’t be evil! Happy Reunification Day! Chúc mừng ngày thống nhất!